Hillary 2016: Now Mark Penn-free. Maggie Haberman, who is to the chronicling 2016 Clinton restoration what Michael Herr was to Vietnam, supplies many listicles’ worth of staff moves in this monster piece. As with any piece that wrings facts out of anonymous sources, it has to be read with an updated decoder ring. Decoded fact one: Mark Penn is now officially out of the loop. Rumors swirled among Washington operatives in the fall that Penn might be back as an important adviser to Clinton. He is said to still speak with the Clintons but is currently focused on corporate work. “I’m all in with Microsoft as their executive vice president of global advertising and strategy and enjoying meeting new challenges there,” Penn said in an email. For months, reporters (Ben Smith, much of the time) asked Penn and Clintonworld whether the strategist was back. This appears to be his first comment in the negative. 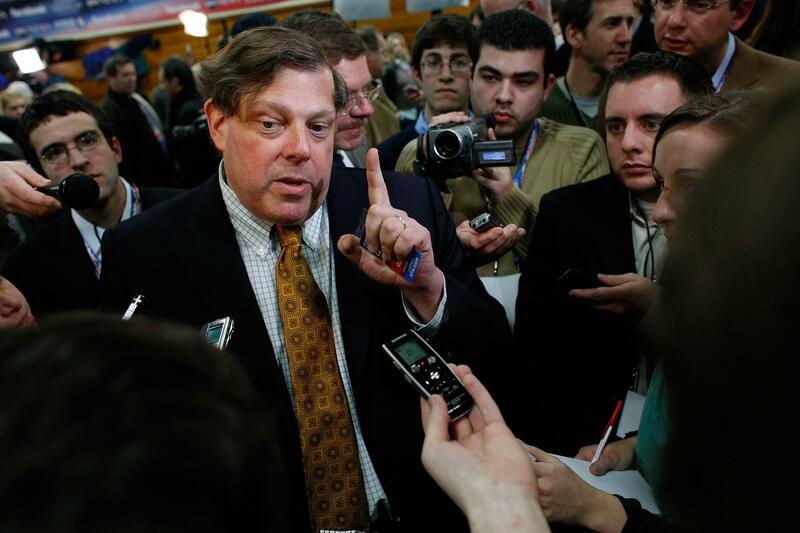 The message: A 2016 campaign will not burn money on Mark Penn’s consulting. Decoded fact two: Hey, the Clinton campaign knows how primaries work now! At the Dewey Square Group meeting in her northwest Washington, D.C. home, Clinton received a rundown of key dates of a potential campaign as well as a sketch of TV advertising costs and other tasks that would be key to a second run. This is presented in the context of the campaign seeing off a (ha, ha) Elizabeth Warren primary threat, but surely we are meant to remember those Clinton campaign fumbles of the caucus calendar.